Sandpearl Residences is located on the Gulf of Mexico on north Clearwater Beach and consists of 117 luxury condominiums ranging from 1,356 to 2,605 square feet, with larger Penthouse units. 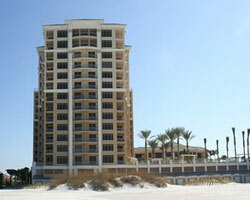 The complex offers luxury beachfront living with full resort hotel services provided by the adjacent Sandpearl Resort. 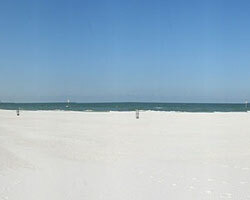 Sandpearl Resort has 50 one (1) and two (2) bedroom condo-hotels which are owned on a fee simple basis. They may be rented on a daily basis. You can use their rental program or rent the condo-hotels yourself. Spend the day shopping at the retail shops, exercising in the oceanview fitness center, enjoy the beachside grill and bar, then relax at the luxury spa.